General Carl Von Clausewitz (1780-1831) is undoubtedly one of the most important military theorists in history. His exhaustive examination and analysis of the Napoleonic wars are based on his long military career and direct participation in events. 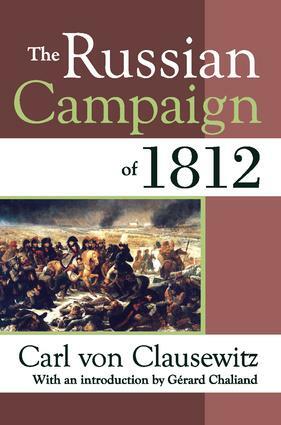 The Russian Campaign of 1812 is an essential volume on this turning point in European history.